Here are the brackets – please let me know if you see any issues/mistakes with them. 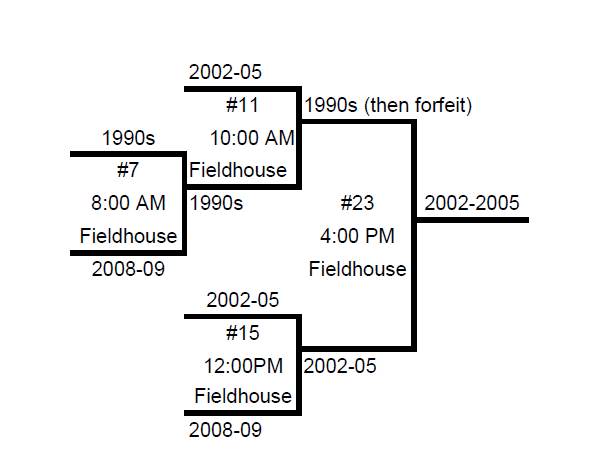 Well it’s that time of year again and I am beginning the planning for the 2011 Alumni Tournament. This year’s tournament will be held on Friday Dec 30th and Saturday Dec 31st. 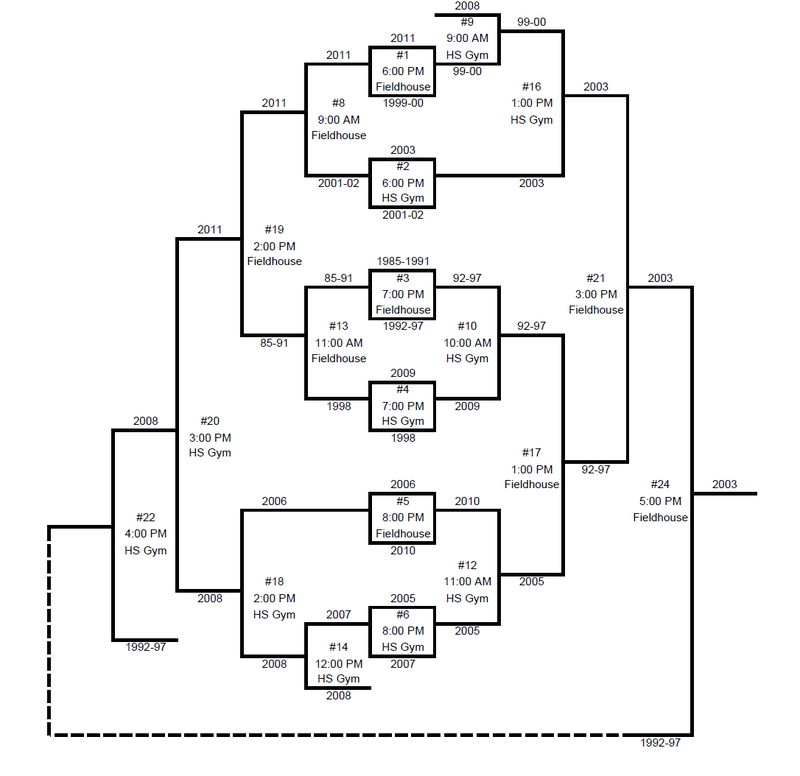 I won’t create the schedule until I get a good idea on the number of teams, but it we will likely have all guys teams play one game Friday night and then the rest of the tournament will be held on Saturday. The cost per team will be $120 and is due before your first game. 2005 still owes $20 from last year so their fee is $140 due before their first game. 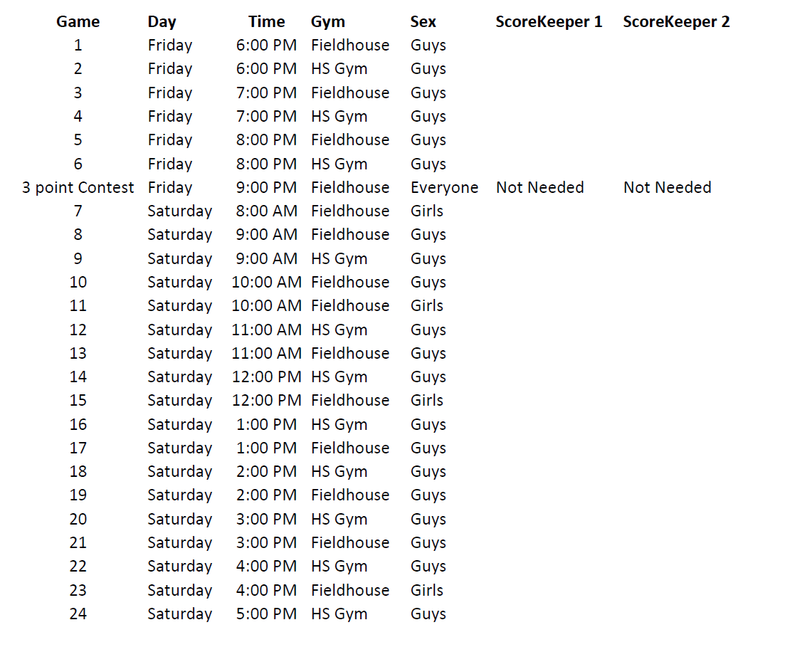 We will have a girls bracket again this year if there are enough teams. We will be keeping the $20 technical rule from last year. If you get a technical you are ejected from the game until you pay $20 to at the scorers table. We will very likely have the 3 point contest again this year – just need to find a good time to squeeze it in so that we have maximum participation. Entry fee will be $3 for each person that wants to enter – with trophy for the winner. If you know for sure if your team is going to be in the tournament please let me know as soon as possible A captain with a cell phone number and email address would be helpful as well. I would like to finalize the teams by Sunday Dec 18th so please contact your team and let me know as soon as you can.